Electric cable, polyurethane, photolithograph, plexiglas, halogen light. Dimensions: 24 x 24 x 12 cm. 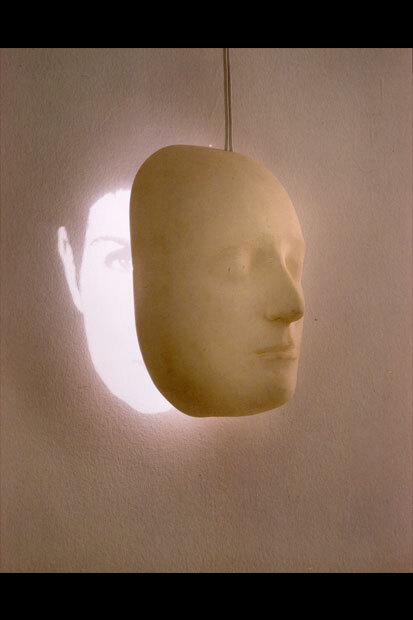 Masks hang from the ceiling by electric cables, which carry the current to the interior of the piece. 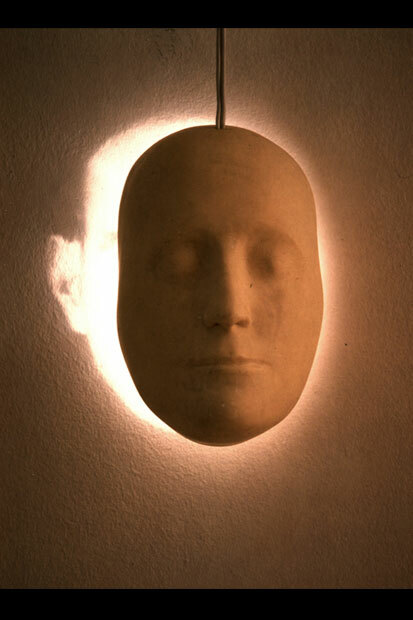 Projected photographic images of faces are partially visible on the wall behind the masks.